This special design was made just for kids! A pair of binoculars is illustrated in crayon style along with the text Future Birdwatcher. 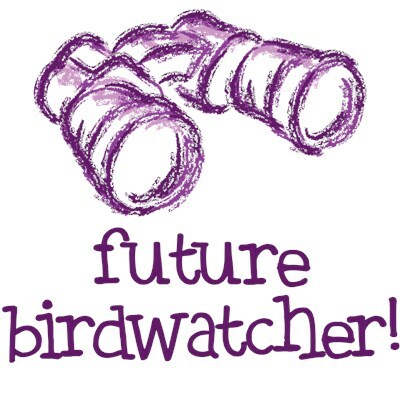 Share your birdwatching hobby with the children in your life with our unique collection of Future Birdwatcher apparel and accessories for kids. To order by phone, call toll-free at 1-877-809-1659 from Monday - Saturday 9:00am - 9:00pm EST. You'll need to note the Product Number 030-220610100 to make your order.